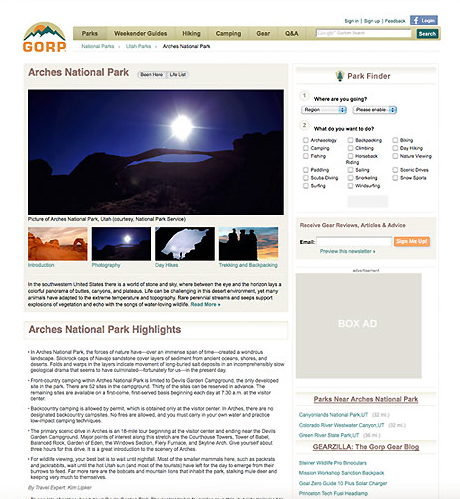 The Away Network is an editorial travel service owned by Orbitz Worldwide (Orbitz.com). While I did not create the original website template/layout, all new visual design work would be created or reviewed by me. As the Senior Design Lead, I was charged to further grow and maintain the company brand. When a new product was being introduced, I would be involved from concepts to launch, working with all the necessary departments and overseas development teams, utilizing the Agile methodology. 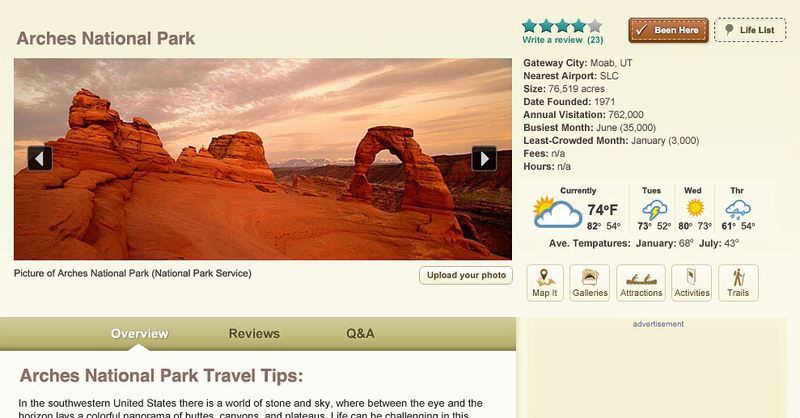 With an abundance of park data and editorial content, a better way to organize all of it was needed. 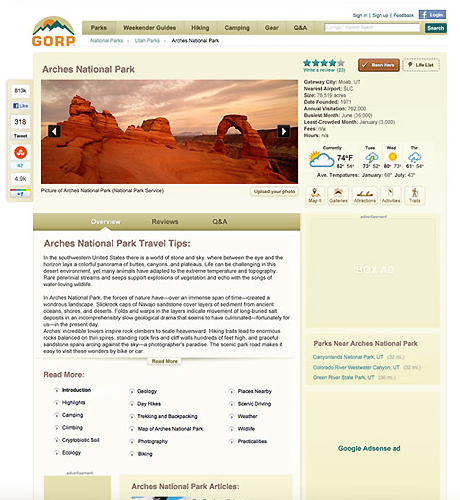 With a new interface, utilizing a tab structure, iconic buttons featuring targeted content-rich categories and enhanced user interactivity, more part information is provided in a compact, organized and visually appealing way, bringing more value to these pages. All this was done within quick deadlines and pre-existing media limitations and page structure (content feeds, image crops…). With advances in CSS, modern browsers are able to render more visually complex and interactive content. These buttons are created with pure CSS and HTML, without the use of images (other than the icons which can now utilize font characters however, the steak holders preferred my custom icons). 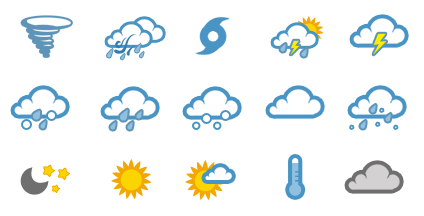 Custom weather icons were created for GORP park weather reports. A different icon for around 60 different weather conditions were designed.